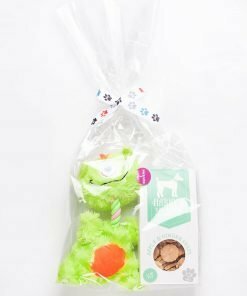 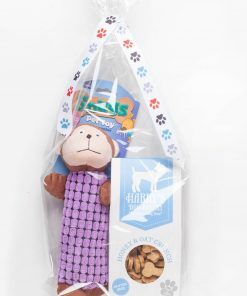 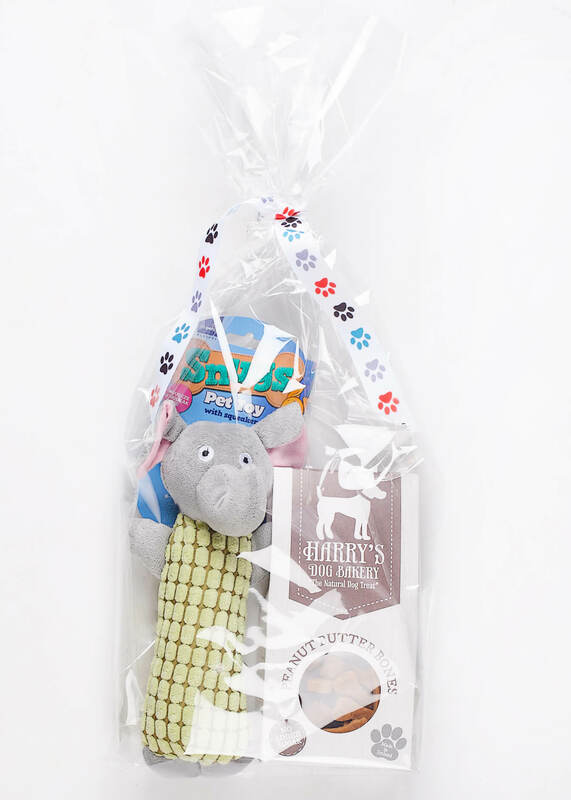 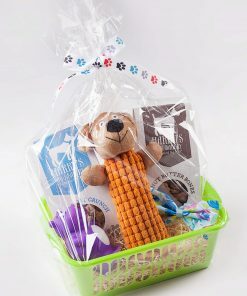 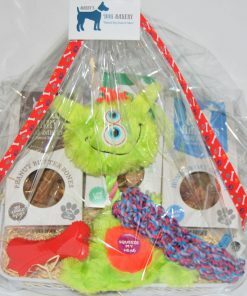 Gift bag containing Peanut Butter Bones (170g) and Soft Toy. 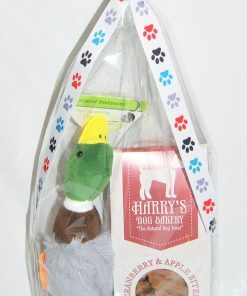 Please note soft toy may differ from that shown in the photo. 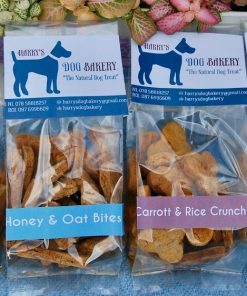 Our all natural Peanut Butter treats are free from palm oil, sugar and salt and are sure to have those tails wagging. 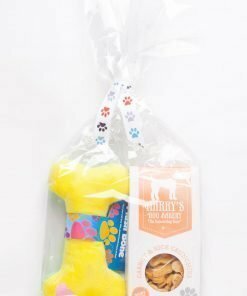 Ingredients: (Peanut Butter Bones) Peanut butter (Sugar Free) Apple Puree (Sugar Free), Brown Rice Flour, Wheatgrass, Water Analytical Constituents Per 100g: Protein 12.3%, Fat 15.8%, Carbohydrates 65.3%, Ash 1.4%.